It is often not easy to know the model of that particular laptop, as are lost documents, packaging, receipts. However, there are other ways to establish the exact model name of your device. Locate the package from laptop to Asus and pay attention to the labeling of the product. Usually the sticker is on the side of the box, it should be written with relevant information. You can also find it in the documents for warranty service or goods-receipt. Flip the laptop and check whether its back cover a sticker with information on it, usually it is located above the license sticker operating system, if any. Also can't hurt to check the battery compartment. Very often such labels also spell the model of the motherboard. If in case your notebook had no labels for any reason, try to view information about the hardware configuration of the computer. To do this, open system properties by right-clicking the mouse on a free area on "My computer", on your screen appears a small window with several tabs. Click the one that is called "Equipment". Open device Manager by clicking the appropriate button. Review existing equipment, write down the name of the motherboard, video card, models of some other devices in the configuration at purchase. Open the first tab and write down the processor speed and RAM. Open a browser, type in the search bar the name of the manufacturer of your laptop, the model name of some devices and the CPU and RAM. In the search results try to choose those that will help to define your model. 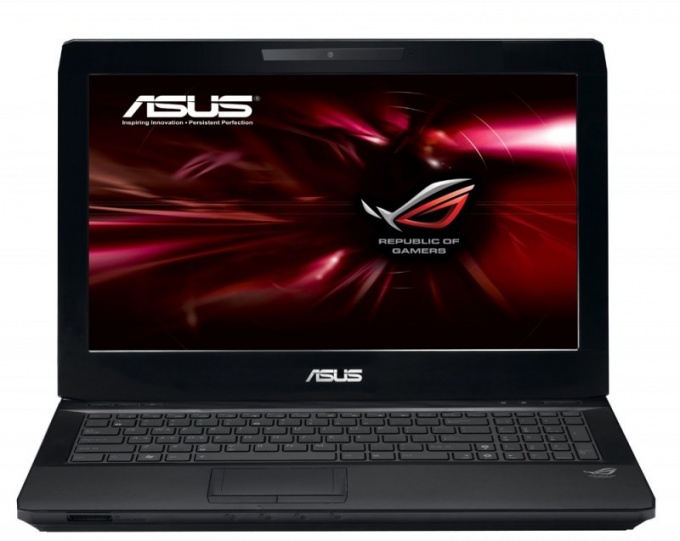 Try to look on the official Asus website for the model laptopthat was on sale at the time of your purchase, select among them my pre-comparing specifications in the computer properties. Keep all the factory stickers on your laptop, also do not throw away receipts, packaging and garantiyku.